The sheer wealth of chess facts trivia could easily fill a whole series of web pages. Here are just a few of the strangest, most interesting and amusing. The US master Weaver Adams wrote a book called White to Play and Win in 1939. During a tournament after its publication, he lost all his games as White and won all his games as Black. Adams went on to win the US Open tournament in 1948. The Norwegian Grandmaster Simen Agdestein also played soccer for his national team. A British cabinet-maker built Ajeeb, a chess automaton in 1865. During its long career, it was operated by many well-known chess masters and won almost all its games. It was even shot by a sore loser. Ajeeb was destroyed by fire at Coney Island in 1929. The first Chess Academy was opened in Fontainebleau, outside Paris, France during the reign of King Louis XIV in 1680. The Beatles played a concert at the 1966 American Open tournament. Screaming fans assumed the pop stars were behind the on-stage curtain. The highest number of moves in a tournament game is 269. It was played in 1989 between Nikolic-Arsovic and lasted 20 hours and 15 minutes. It ended in a draw. The Fool’s Mate is the quickest possible way to end a chess game. The game is over in 2 moves. The shortest won game, without forfeit, in master play was in 1984 between Ðordevic and Kovacevic. White was forced to resign after only 3 moves. 2 world championship games have been defaulted before any moves were made. Only 10 people have ever achieved 100% records in tournament play. In 1889, Nicholas McLeod lost 31 games during a tournament. This still stands as the record for most losses in a single tournament. Bobby Fischer holds the record for most consecutive wins. There is some dispute whether it stands at 19 or 20 victories, however. Between 1981–1990, Gary Kasperov came first in 15 consecutive tournaments, setting a new world record that still stands. The Soviet player Mikhail Tal set a record for being undefeated in tournament play in 1973–74, playing 95 games. He also holds the second-longest non-losing streak of 86 tournament games, played between 1972–73. In 2011, Iranian Grandmaster Ehsan Ghaem-Maghami played against 604 players in 25 hours. 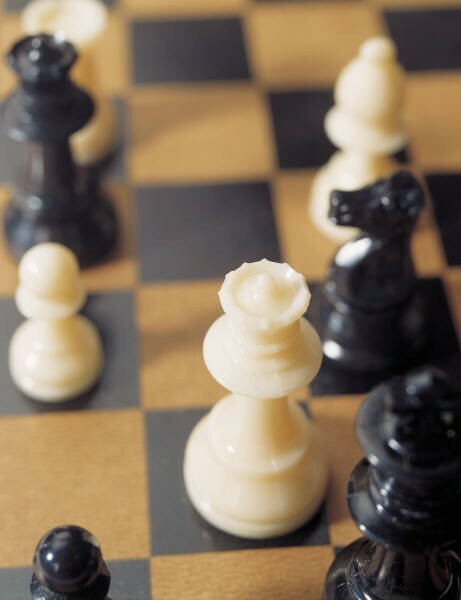 This is a Guinness World Record for the highest number of simultaneous chess opponents. With so many fascinating chess facts trivia, it is no wonder it is the skill game king played by passionate players worldwide. Be sure to explore the 5-part chess unit and challenging quiz at gamerisms. Puzzle Games Glossary at gamerisms describes the popular games of Sudoku, Rubik’s Cube, Crossword Puzzles, Bejeweled, Deal or No Deal, Twist Me Silly, Chuggles and Jungle Bubble Skill Games.